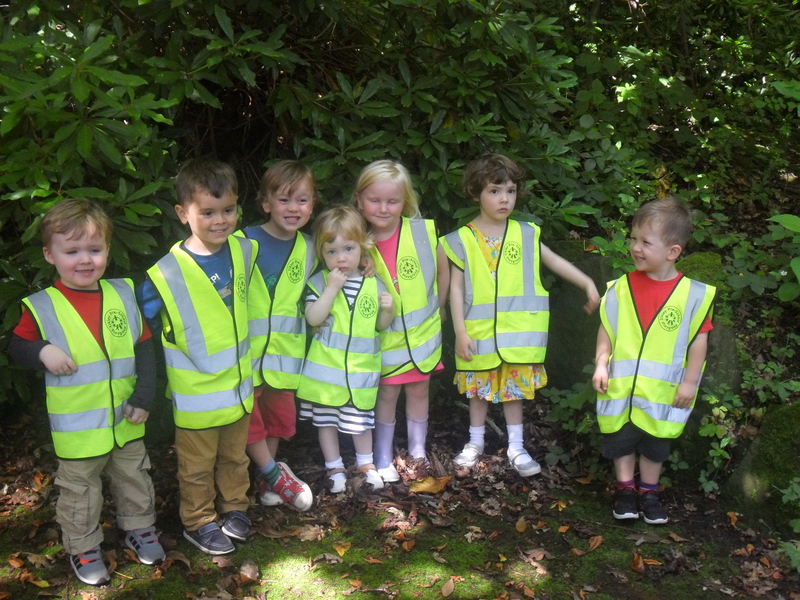 Last week we enjoyed an ‘Explorer Walk’ into the woodlands of Mill Ghyll. 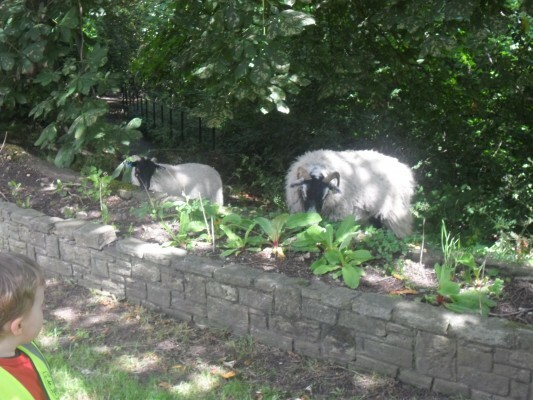 We followed the path down into Ilkley Town and saw two “escaped sheeps” near the bandstand! 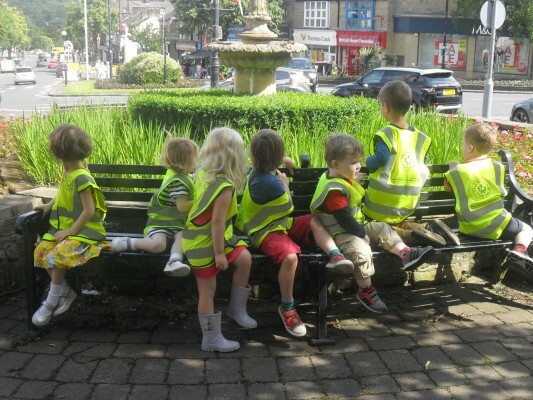 There are many interesting walks (long and short) around Ilkley for all ages to explore. The Tourist Office, opposite Ilkley train centre, sells leaflets with walks of many varieties, for as little as 50p. You’ll be amazed at what’s out there on your doorstep! Having a rest, in the shade, at the top of Brook Street. 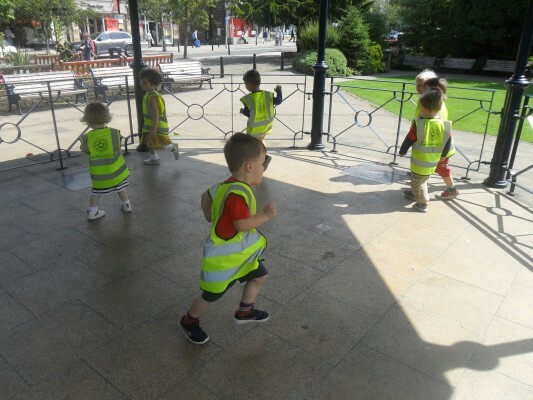 Stretching our legs at the bandstand. Spotting “escaped sheeps” in the town! !